DIMENSIONS (LxWxH).............. 133" x 72" x 102"
DISCHARGE CHUTE................... MANUALLY ADJUSTABLE 240 deg. 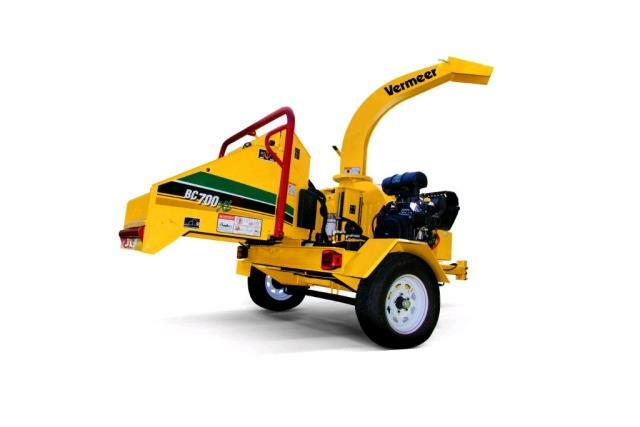 Vermeer continues to respond to the rental, landscape and tree care professionals with the BC700XL brush chipper. The smallest machine in the Vermeer brush chipper line, the BC700XL focuses on productivity and ease-of-use. 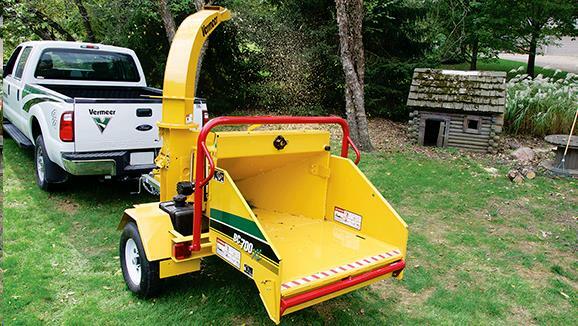 The brush chipper features a centrifugal clutch system, 25 horsepower Kohler EFI engine, bottom feed stop bar and Vermeer exclusive SmartFeed feed-sensing control system. The new member of the chippers line offers the compact size operators are looking for and the performance they want to achieve a job efficiently. ** Please call us for any questions on our vermeer 6 inch brush chipper rentals in Fairview Heights IL.